This is my draw of the Great globular cluster in Hercules that we can enjoy in this nights. This globular cluster is located 25000 light years from us and contains more than 300,000 stars. This is a great sketch of the globular M.13 in Hercules! I like the bluish tint on stars and the Chains if stars! 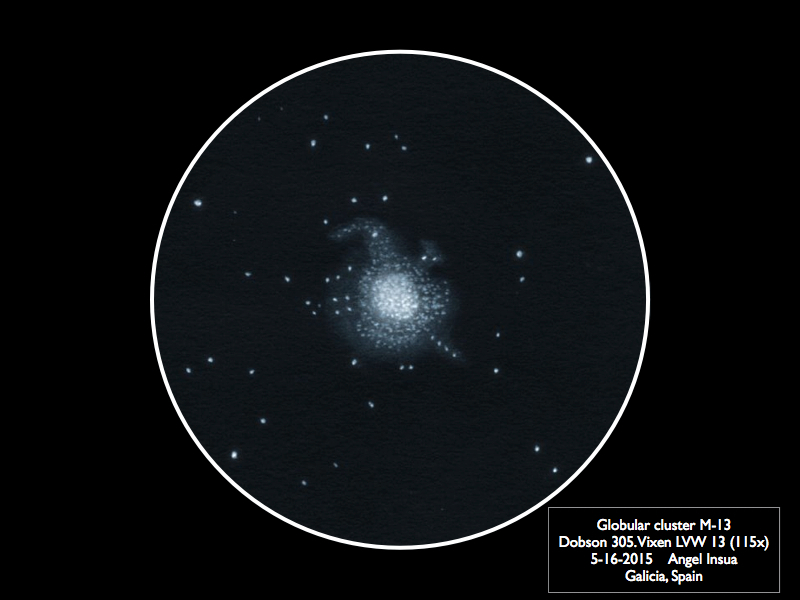 That is a very nice sketch of globular cluster M-13. Very nice work capturing M13, you have all the details down to the trailing chain of little stars.